I’ve never been a fan of putting products other then lip balms for chapped lip. Ever since Autumn came 3 months ago and chapped my pair of lips, and Fleur De Force came out with her make up line, I have decided to try out some. Here are some the products I have purchased and fell for in these past months. I would describe this as a tinted pink lip stick, when I just need a little colour and moisture on my lips during autumn and winter. I got this in Switzerland, but did not remember it’s price. Fleur De Force lip gloss/liquid lipstick – 010 Little Star and 020 Written in the Stars. So happy for Fleur De Force who not so long ago released her own make up line, including makeup bag and eyeshadow. 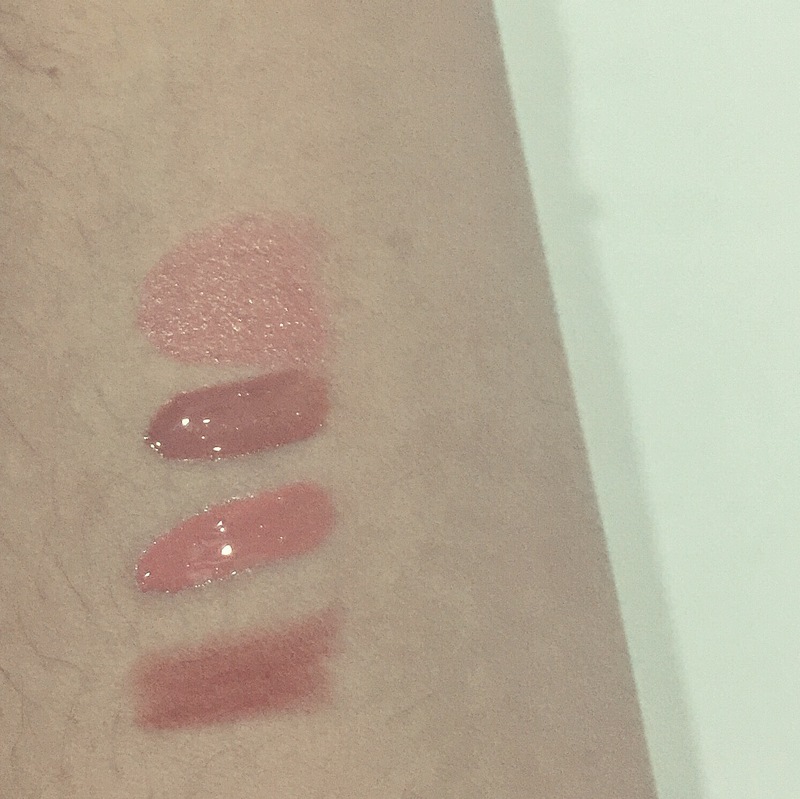 I chose these two colours as they are quite basic everyday colour lip glosses, but after the glossiness leaves, they leave a subtle colour. My favourite to go is 02 Written In The Stars. Fleur De Force makeup is exclusive to Feelunique, and they ship worldwide free after a certain amount spent. Check out this link. 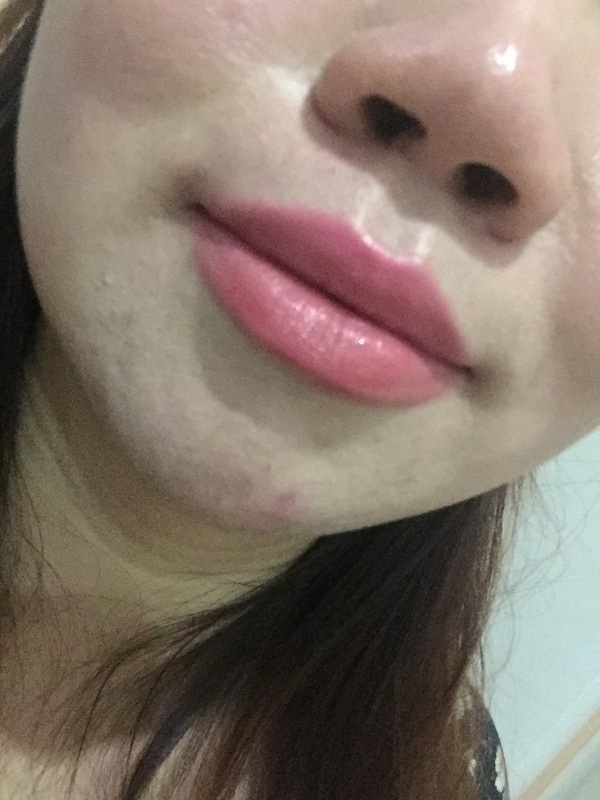 My top lip is quite thin, and sometimes lip sticks can get quite messy on my since I’m new to lipsticks. This stays on for a long time and doesn’t transfer on anything! But as it is dry, I use it only during the warmer days. I purchased this during an event Evonne Ng held in The MakeUp store Paragon, Singapore branch a couple of months ago. Down below are the swatches as according to how the names are listed. 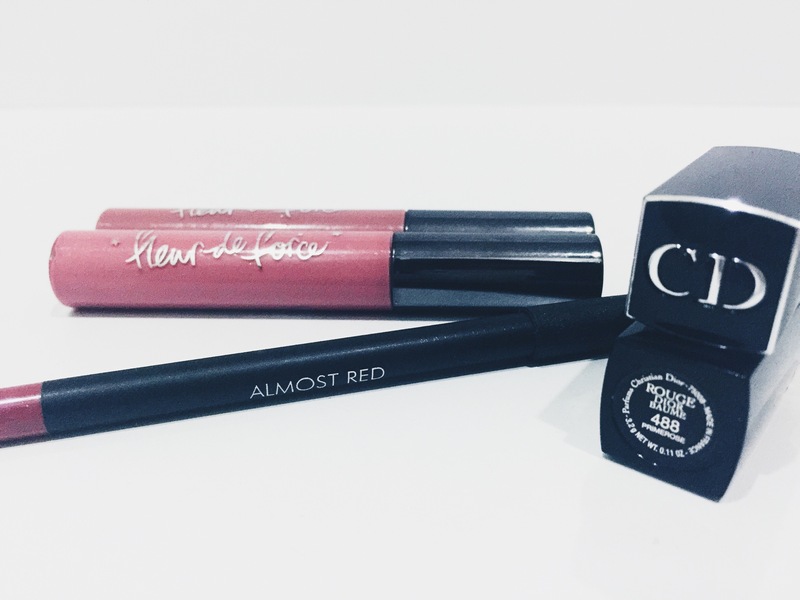 Top lip – Christian Dior Rouge and Bottom lip- The Make Up store lip liner and Fleur de Force 020 Written in the Stars. Pardon my chin, its the time of the month when i took the picture.